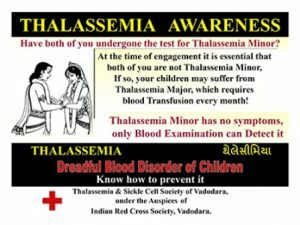 A law is the need of the hour to get gynecologists to proactively prevent birth of children with Thalassemia major. “There is no scope in law to fix the responsibility for the unfortunate situation you have been put into,” a reputed advocate told Sarita Advani, a mother of two, who was consulting the lawyer for a remedy to her predicament. Sarita had given birth to a baby boy six months earlier. The delivery was normal but as days and weeks went by, she saw that Ankit, her son, was looking pale and generally weak, somewhat sickly. She could realise what was the problem with Ankit because her four-year-old daughter Shama had shown up similar symptoms when she was about a year old. At that time, both Sarita and her husband Deepak had no clue as to why Shama was sickly in spite of the best care they were giving her. Dr. Neelam Pawar, the pediatrician she consulted had diagnosed that Shama is a victim of a blood disorder called Thalassemia major. She had even confirmed the diagnosis by having both Sarita and Deepak take the electroporesis test which showed that both of them were Thalassemia minors. Deepak is a man of frugal means; he works as a counter salesman at a textile showroom and earns thirty thousand rupees a month. Sarita is a homemaker having to take care of two children now. She has to spend considerable time travelling to the transfusion centre every three weeks to get Shama transfused with blood, buy oral iron chelations pills and other sundry medicines that Shama needs off and on. She has to get her serum ferritin test done once in two months to keep a watch on the iron overload level in Shama’s body. And occasionally meet a hematologist who examines Shama, her treatment regimen, reports etc. and advises what more needs to be done. In the midst of this traumatic and anxiety filled life that she was leading, she became pregnant for the second time. At the very inception, she consulted a gynecologist Dr. Kavita Ahuja, who got her to do various tests and put her on a monthly check-up routine. Periodically, she was doing ultrasound test and watching the progress of the pregnancy. Everything went on well and after nine months, Ankit was born in a normal delivery. As a baby, he was cute, and both Deepak and Sarita were happy to have their family complete. Little that they know that life was to throw a curve ball at them as Ankit started to grow up. After about six months, Ankit was not very active, pale and generally sickly. 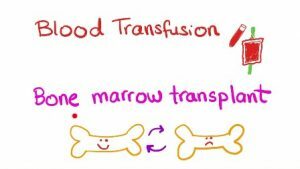 They now have two children who are Thalassemia major needing regular blood transfusions and other treatments throughout their life. They looked back at the time Shama was born, what all they had gone through and where they went wrong with regard to the second pregnancy. While interacting with doctors and other parents they met at the transfusion centre, they realised that medically Ankit’s birth could have been prevented had the gynecologist Dr. Kavita Ahuja paid attention to the medical history and more meticulous in her examinations. They were angry with their fate but they were more angry with Dr. Ahuja who had failed in her diligence and responsibility. After a lot of thinking and hesitation, Deepak decided to seek legal advice. He knew that the legal course would not only be long drawn but also expensive, but he wanted to do it so that a precedent is set and no other gynecologist would dare to be perfunctory and negligent. He went to meet an advocate who had a reputation for filing several public interest cases including some relating to medical issues. After prolonged discussions and deliberations, he advised that the laws in our country have no provision to fix responsibility for due diligence as there are no guidelines or legal mandate to do or not do certain things at the hands of doctors. He cited the example of the law on prevention of female foeticide and said a similar law is the need of the hour to get gynecologists to proactively prevent birth of children with Thalassemia major. Deepak and Sarita are determined to give the best care possible to both Shama and Ankit and look forward to future medical advancement when some curative options could emerge. The writer is based in Mumbai and he is associated with Sankalp India Foundation, Bengaluru, which works for the Thalassemia prevention and patients’ care.